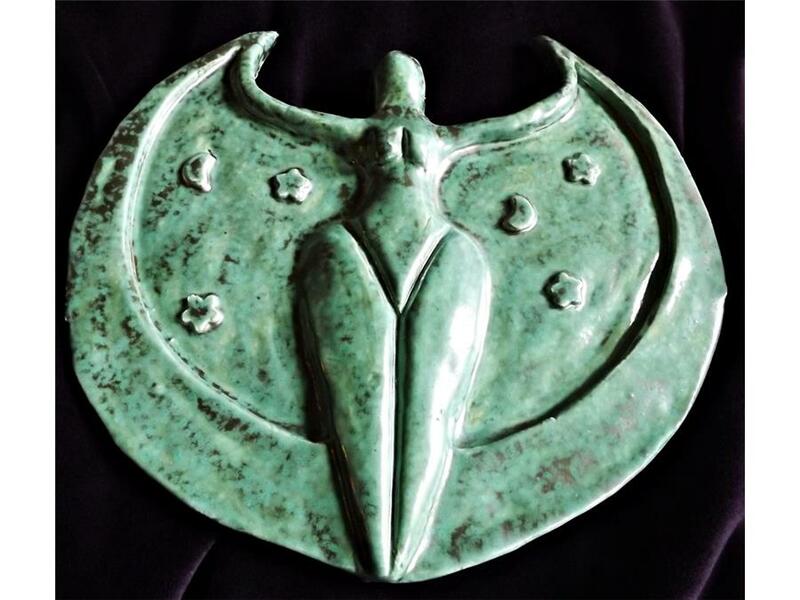 A beautiful, individually handmade, ceramic wall plaque of the Lunar Goddess against a background of stars. 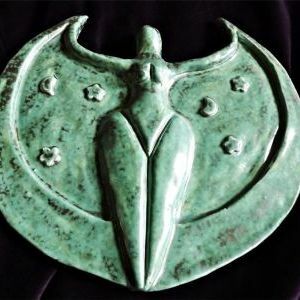 Colour: Verdigris . 21cms (8 inches) across.